It's August and my birthday is around the corner. Wohoooooo! I really love to travel all around the places that I never been before. How about you guys? Honestly, there are a lot places that I never really like spend time there and also capturing photo as well. So, I hope I able to grab this chances to go travel around and write up more post on it so that I able to share to others as well as memories too. I'm been staying at Kuala Lumpur almost 2 years and I never been really staying hotel there yet. On my thought, there is a lot of hotels around Kuala Lumpur and it will be quite a difficult to find all the hotels name, locations, rating and pricing as well too. Time to do some research on Internet (google.com) and I found out that traveloka.com that really suit me. All the information that I needed is there and the interface/layout is user-friendly (easy to use) too. I do like traveloka.com because I able to set the date that I'm going to book and it able to show the costs on that particular date. I never been staying on 4-star and 5-star series hotel and of course I'm will to grab this opportunity to look through before doing any decision. 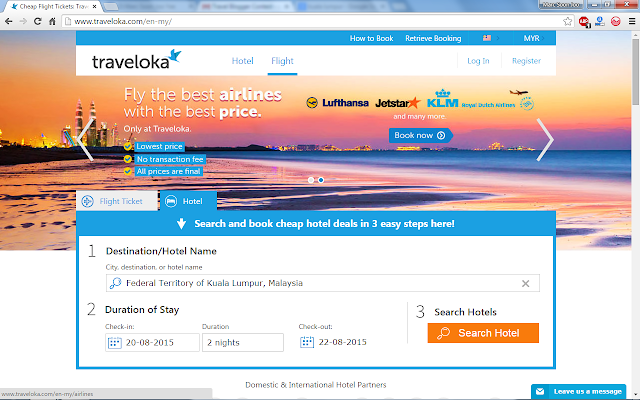 The best about traveloka.com is there able to filter by our own requirement. 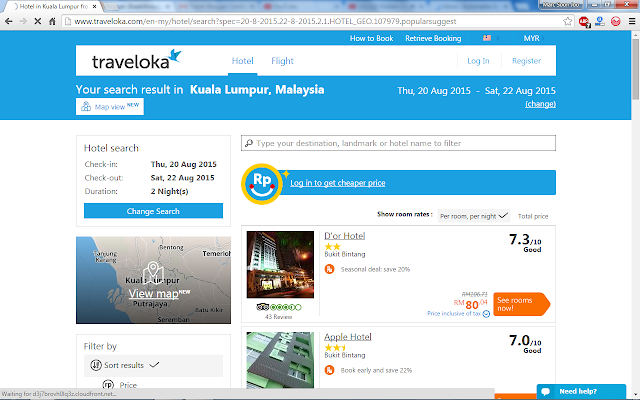 There will be price off when you look through hotels using traveloka.com. 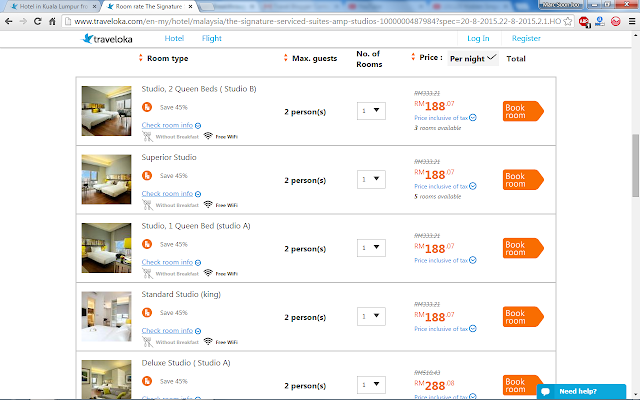 Not only that, there will be a rating for hotel too. 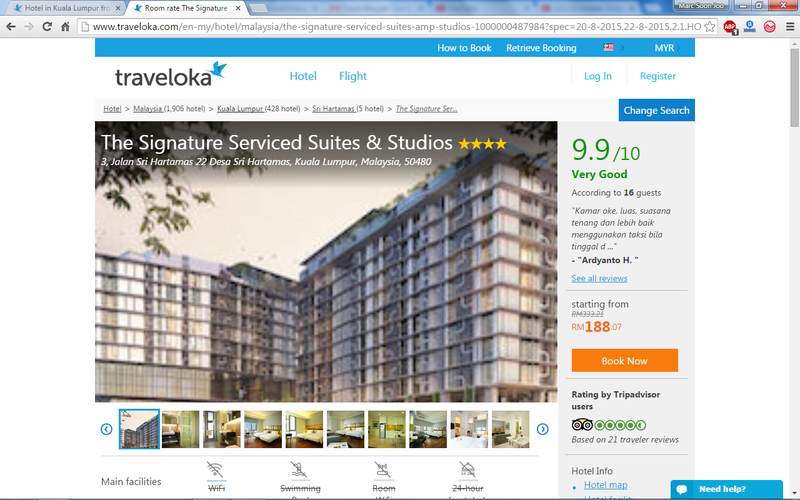 All the information that I needed such as hotels photos, descriptions, main facilities, hotel facilities, nearby attractions, room type, price , user reviews and others information can be get easily on traveloka.com. 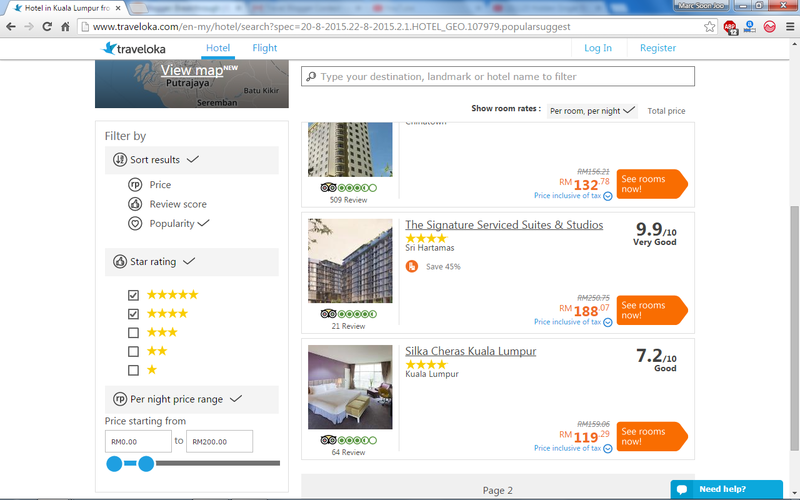 I feel that traveloka.com site is quite good and that why I'm writing up this blog post to share with other too. Time for me to do survey for my coming vacation.